More details of Google’s new NFC service are becoming available, but it’s still not clear what business model the company has created for its Google Wallet service. 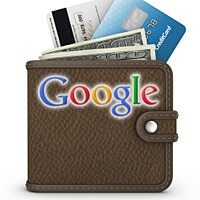 GOOGLE WALLET: The signs point to more than just a basic mobile wallet. Details of Google‘s NFC mobile payments announcement due to take place at noon today, 26 May, are now beginning to leak. US luggage retailer The Container Store has revealed that it is part of the new service. It will be called ‘Google Wallet’ and will go live on 1 September, This Is My Next reports. Macy’s, Subway and American Eagle Outfitters are also believed to have signed up. Vivotech has confirmed itself as one of Google’s suppliers. “Vivotech has worked closely with Google and has provided Vivotech technologies to enrich Google upcoming ‘latest innovations’ beyond our POS readers,” the NFC specialist told reporters last night. The more open the Google Wallet is, the less likely it is that Google will be to use it dominate the mobile advertising market. An open Google Wallet that acted simply as a container for consumers’ NFC apps would not provide the necessary incentive for Google to make the major investment in merchant POS devices that it’s clearly planning. So, it sounds as though there will be more to this announcement than just a ‘basic’ mobile wallet. Will a new payments network be announced, or will this simply be an old network in mobile form? Who owns the secure element? How will Google generate advertising revenues? How much will merchant terminals cost and what benefits will they offer? How open will the service be? Will this be an Android-only service? What’s the deal with Sprint? What if Google’s just a junior partner? Full details of what to look for under each of these headings are available here.